BullGuard VPN is a new product released recently by BullGuard. VPN is usually a tool to protect user’s internet privacy, security and anonymity. 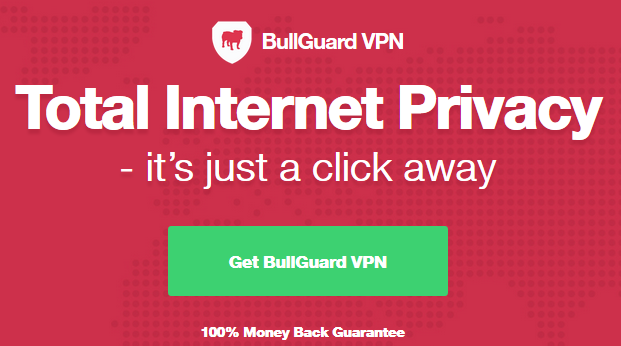 BullGuard VPN is also created to be the strong and reliable VPN tool to make people get online privately, securely and anonymously. BullGuard VPN can be used on many devices like desktop computer, mobile phone and tablet, laptop. It supports all basic and major systems including Windows, macOS, iOS, Android. BullGuard VPN allows people to use a single BullGuard VPN account on up to 6 devices at the same time. So, you can share your account with your friends or families and use the same account on devices at the same time. BullGuard has a strict no logging or no tracking policy which means they never log internet user’s online activities or browsing histories. BullGuard uses the strongest and most advanced encryption type to keep user’s traffic and data in a secure and encrypted place. You are able to connect to any server locations you want. BullGuard VPN hides your real IP address and replaces with a new one, which actually masks your real identity a lot. Websites you visit or other internet users just see your new IP address and new identity locations. So, you can visit websites anonymously. With BullGuard, you also can visit any websites and stream any contents anywhere and anytime.